cdcindonesia.com - The spirit of co-jobseekers all morning, following job information coming from the energy company in Indonesia, namely:PT Indonesia Power - PT IP more popularly called "Indonesia Power" is a well-established electricity power company in Indonesia with core business competencies on electricity power generation. 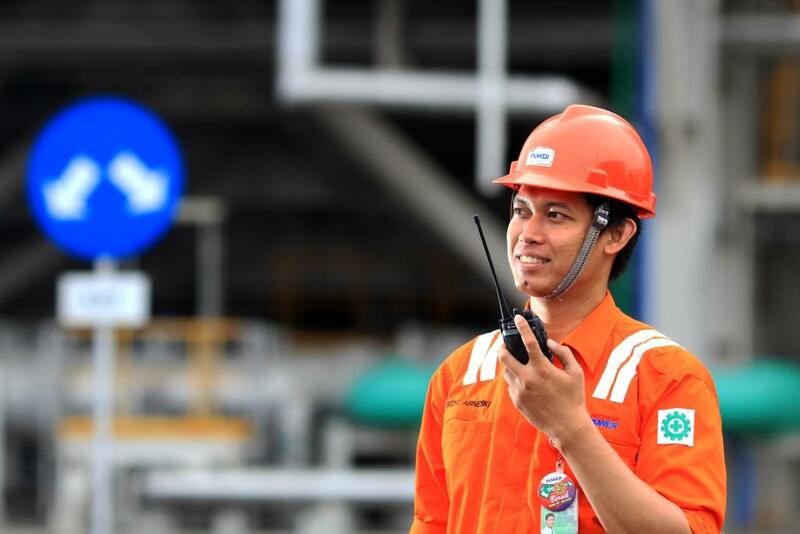 Indonesia Power is a member of state-owned electricity giant PT PLN (Persero). At present, PT Indonesia Power is 99.99% owned by PT PLN (Persero) and 0.1% owned employee cooperative in PLN. Indonesia Power is widely known nationwide as one of the largest electricity power generation companies in Indonesia with installed total electricity power capacity of 13,797 MW. Indonesia Power runs its business through 5 Generating Units (GU), 3 Generating and Generating Service Units (GGSU), 1 Maintenance Service Unit (MSU), and 6 Generating Service Units (GSU) spread actoss Indonesia. As of December 2015, PT Indonesia Power supported by 5 directly-owned subsidiaries; PT Artha Daya Coalindo (60%), PT Cogindo Daya Bersama (99.99%), PT Indo Ridiatama Power (86.4%), PT Tangkuban Parahu Geothermal Power (95.2%), and PT Putra Indotenaga (99.99%). The Company also supported by 1 joint venture company (PT Perta Daya Gas, 35%), 1 associate company (PT Indo Pusaka Berau, 46.53%), and 1 sub subsidiary company (PT Rajamandala Electric Power, 51% shares held by PT Putra Indotenaga). Electronics, Electronics and Instrumentation, Electronics and Instrumentation (Teknofisika), Physics Instrumentation, Mechatronics, Automation, Electronics Engineering, Electronics and Control Engineering, Industrial Electronics Engineering, Physics Engineering, Instrumentation Physics Engineering, Control Engineering, Mechatronics Engineering, Metrology and Instrumentation Engineering, Industrial Automation Engineering, Electrical Engineering (Power Weak), Control Electrical Engineering (Power Weak), Electricity Power Engineering (Power Weak), Control System Engineering (Power Weak). Business Administration, Office Business Administration, Logistic Administration, Public Administration, Commerce Administration, Commerce Administration and Secretary, Office Administration, Corporate Administration, Administrative Sciences, Business Administration Sciences, Commerce Administration Sciences, Secretarial, Secretary and Office Administration, Administration Management, Business Administration, Marketing Management, Secretary, Industrial Management. Communication Sciences, Public Relations, Mass Communication, Broadcasting. Finance Administration, Tax Administration, Accounting, Finance Accounting, Finance, Accounting Management, Finance Management, Finance and Banking Managament, Tax Management, Taxation. Closing date 9 April 2017. All applications will be treated as strictly confidential. Only candidates that meet the above qualification will be shortlisted.